Logo t shirts are great ways to show your joy, love, and support of a particular company of choice. I want to give you a different look at what logo t shirts can mean to you in your own life. If a company ever finds itself in hot water you have to be careful you won’t end up being the informal spokesperson for their misjudgment or dirty deed. Often when a few prominent people in the public eye make some proven poor decisions, people quickly turn their eyes in disgust. When anyone had any paraphernalia on with the person’s likeness on it, it made them targets. This might not sound like a big deal, but I know plenty of folks that are active supporters of the favorite brand and if they ever came up under scrutiny they would have nothing else to wear. Now this is not designed to sound like a fright fest, but more of a selective choice position. You want to make sure the t shirts you choose are speaking life over your situation. You want to have messages and images on your person that speak to how awesome and exciting you are. Life is indeed too short for you not to honor your creative drive and the direction you desire to travel in by choosing logo t shirts that speak to your intelligence, successes, and integrity. Your garments should always enhance the uniquely special person who is wearing them. 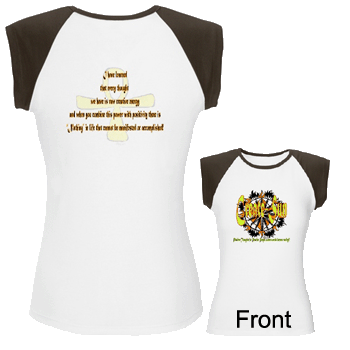 If clothing is a reflection of your own individual personality what should your t shirt design statements reflect? Think about the last time you saw someone wearing a t shirt design that caused you to look at the person differently in a negative way. By the same token, think about the last time you saw a t shirt that compelled you to ask that person where they got that shirt, so you could purchase one. T shirt designs really speak to more than being about body covering. If you have ever had someone pass judgment on you without even speaking with you and getting to know you; you will appreciate what a logo t shirt can do for you with the right statement printed on it. I love the fact that t shirts and designs can be your silent announcement to the world. You have the opportunity to let the whole world know in a quick and awesome sense who you are and what you are all about at a quick glance. I like to put it this way, if society is going to judge your book by its cover make sure it has the most awesome title and graphic cover that speaks volumes about you. Let your words and graphics be your all-points bulletin to each person you come across. Give everyone something to think about the next time they read your t shirts and smile because your message was a blessing to them and just made their day a little brighter.